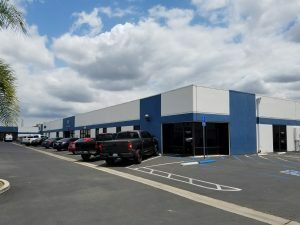 Description: Portfolio of nine (9) industrial buildings totaling 49,867 sq. ft. Assignment: Develop a marketing program for the lease of nine freestanding industrial buildings in Anaheim, CA. All nine buildings were previously occupied by a printed circuit board manufacturing company, ViaSystems, and were vacated in April 2014. Each building was decapitated and torn down to shell condition. The Hefner Team assisted in designing new exterior elevations and interior office floor plans to meet the demand of local tenants. Result: All buildings were pre-leased prior to completion of the renovations and during the course of the short marketing campaign, the Team was able to increase lease rates by 10% over original projections, achieving market premium lease rates for each of the nine buildings.